Rulmeca Corporation will be exhibiting Motorized Pulleys at a variety of exhibitions in 2019, as described below. 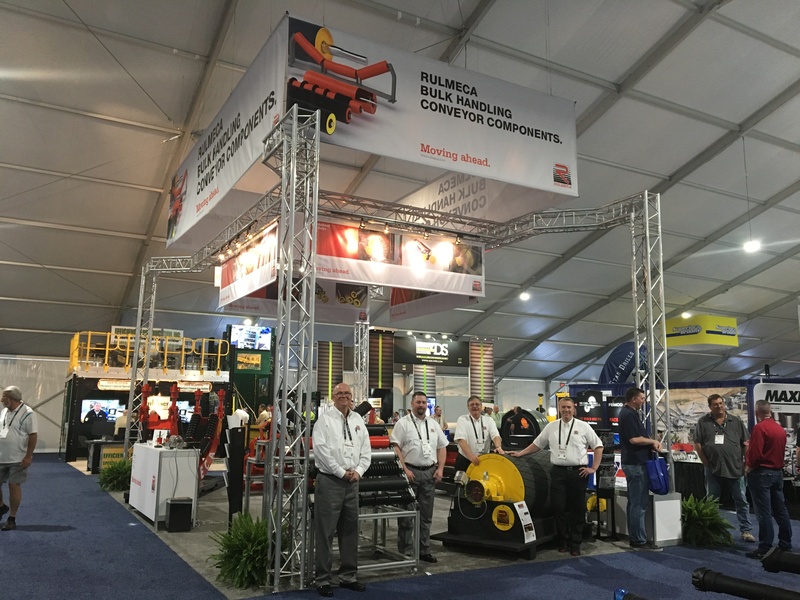 Emphasizing the value of Rulmeca Motorized Pulleys to mobile crushing and screening plant OEMs for US civil infrastructure construction, Rulmeca Corporation will exhibit in Indianapolis February 10-13, 2019. The compactness and reliability of our product portfolio will be highlighted. Rulmeca Corporation will exhibit February 12-14, 2019 at the Georgia World Congress Center to explain how our drum motors’ IP69 sealing system and NSF certification offer poultry and meat processing OEMs the Rulmeca Advantage. Collaborating with Rulmeca Canada, Rulmeca Corporation will travel to Denver for the annual Society of Mining Engineers convention February 24-27, 2019 to explain how to mitigate the effects of mineral abrasion and corrosion on conveyor drives through the use of Rulmeca Motorized Pulleys. Rulmeca Corporation will travel to Germany April 8-14, 2019 and cooperate with numerous Rulmeca affiliates to show delegates why the company’s huge Motorized Pulley portfolio has successfully served the industrial market throughout the world for more nearly 70 years. September 18-21, 2019 will find Rulmeca Corporation exhibiting to domestic and international belting distributors and manufacturers in Washington, DC. An active NIBA member for more than 15 years, we always look forward to strengthening our existing distributor relationships and establishing new ones at this important convention.